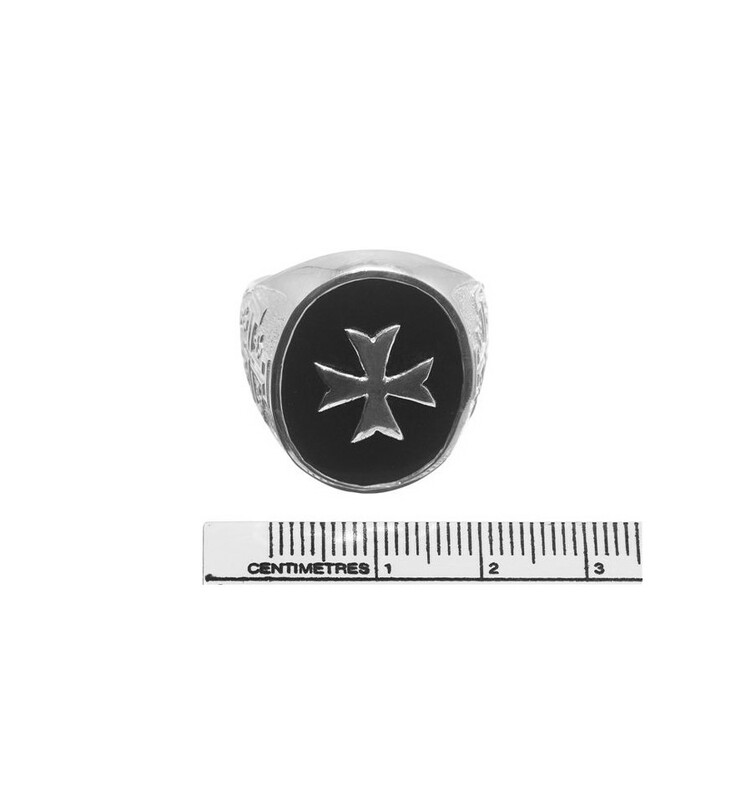 An Onyx ring crafted from an oval of Black Onyx featuring an over-laid sterling silver Maltese Cross. 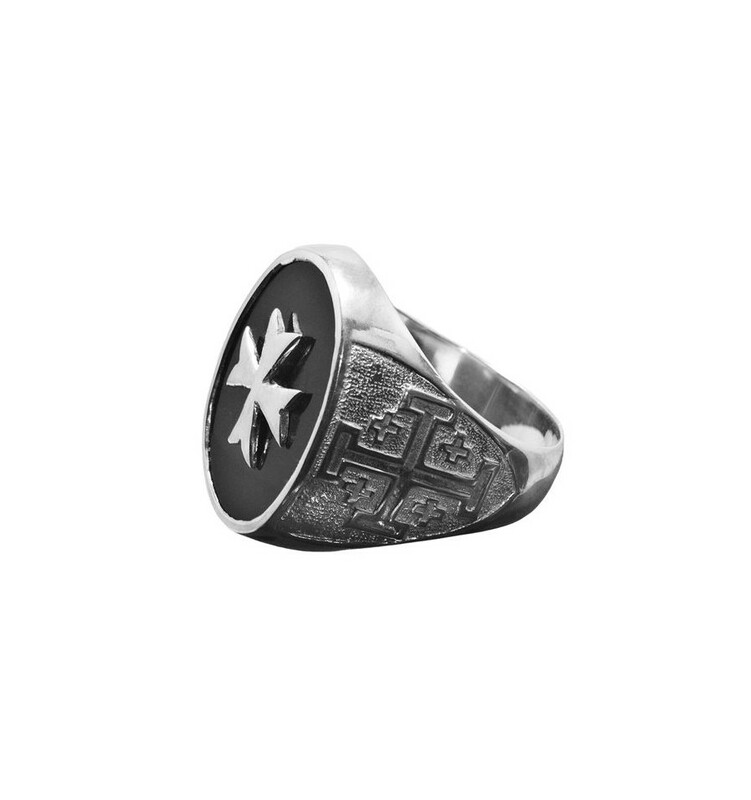 The sterling silver chassis has shoulders which are decorated with Jerusalem Crosses. 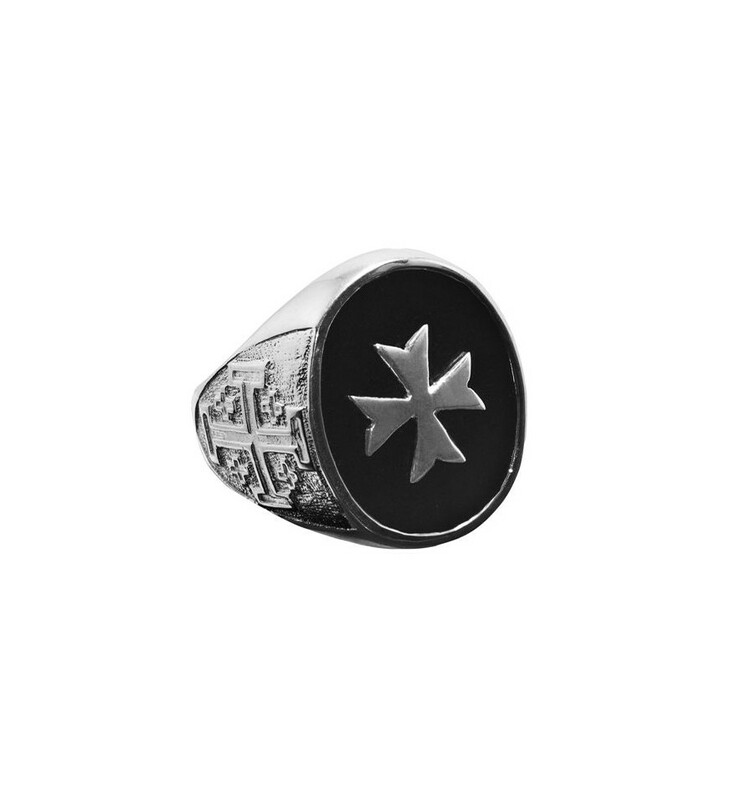 An Onyx ring featuring an over-laid sterling silver Maltese cross. 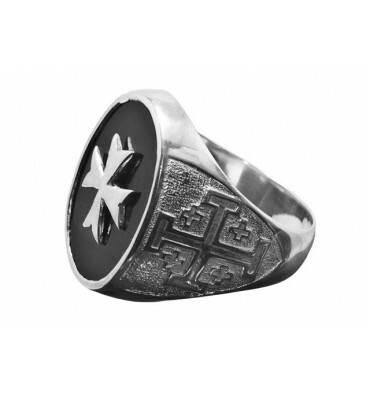 Mounted to a sterling silver chassis with Jerusalem Cross shoulders this is an impressive and lovely ring. 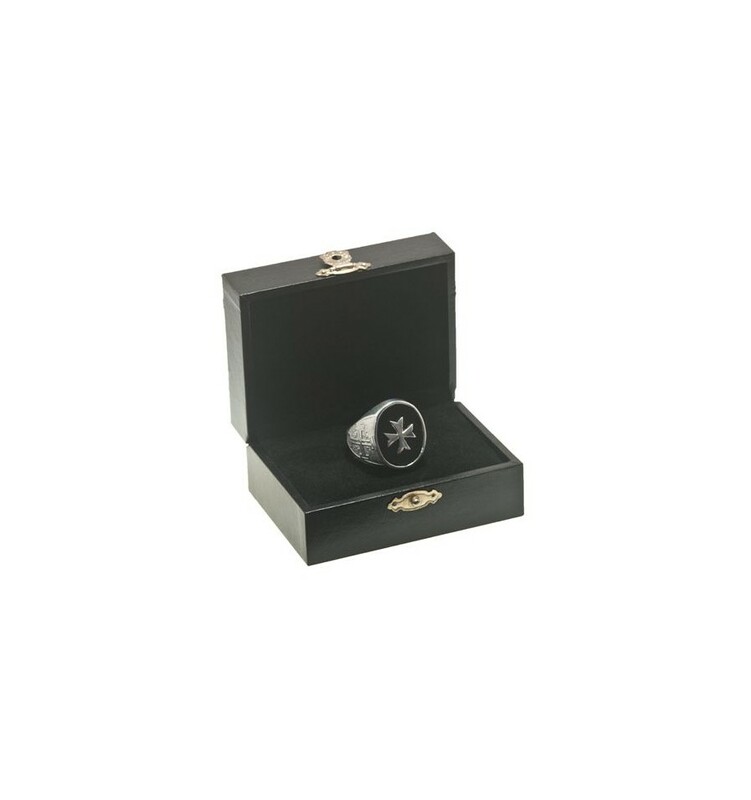 That's why our high quality Onyx rings are so affordable.